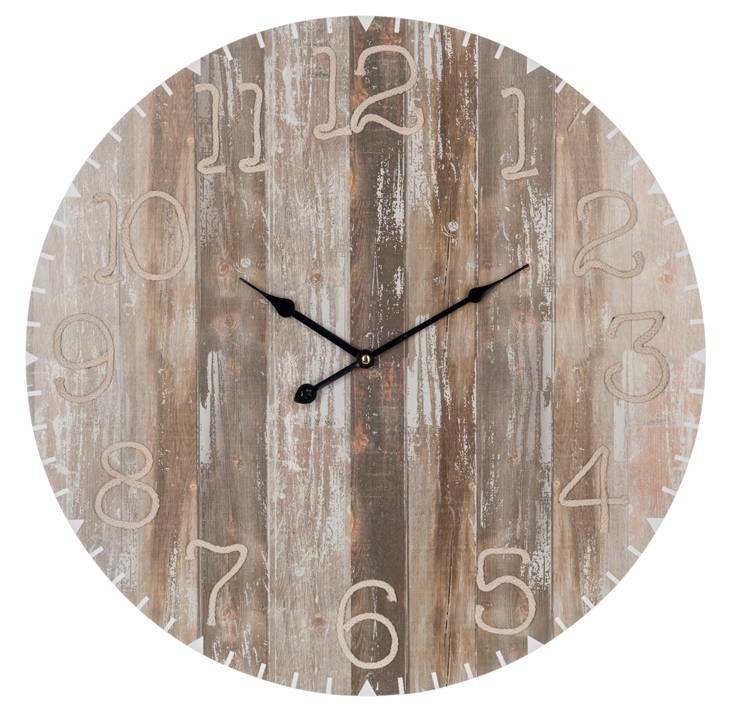 Natural wood wall clock with cream colored numerals. Size approx . : 58 x 4,5 cm. Battery powered. Absolutely hip in seaside and boho look.